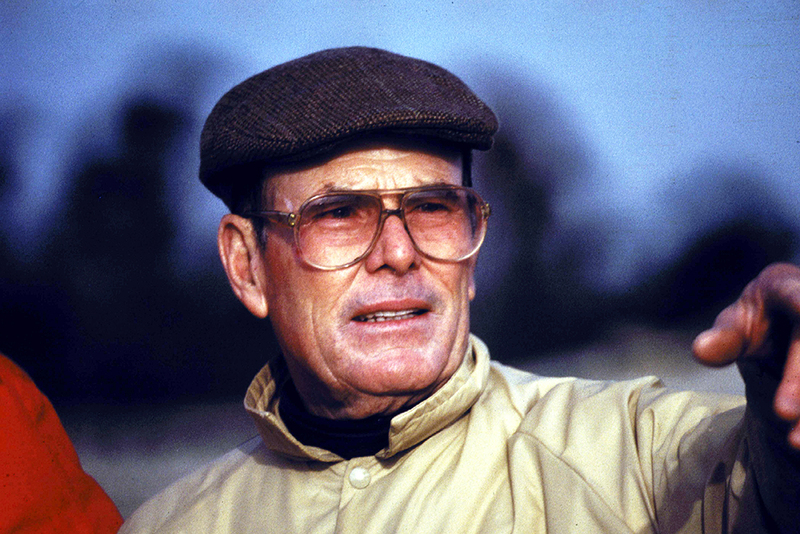 Paul (“Pete”) Dye, born December 29, 1925 in Urbana, Ohio to Paul and Elizabeth Dye, is a legend in the field of golf course design and construction throughout the expanding world of golf. 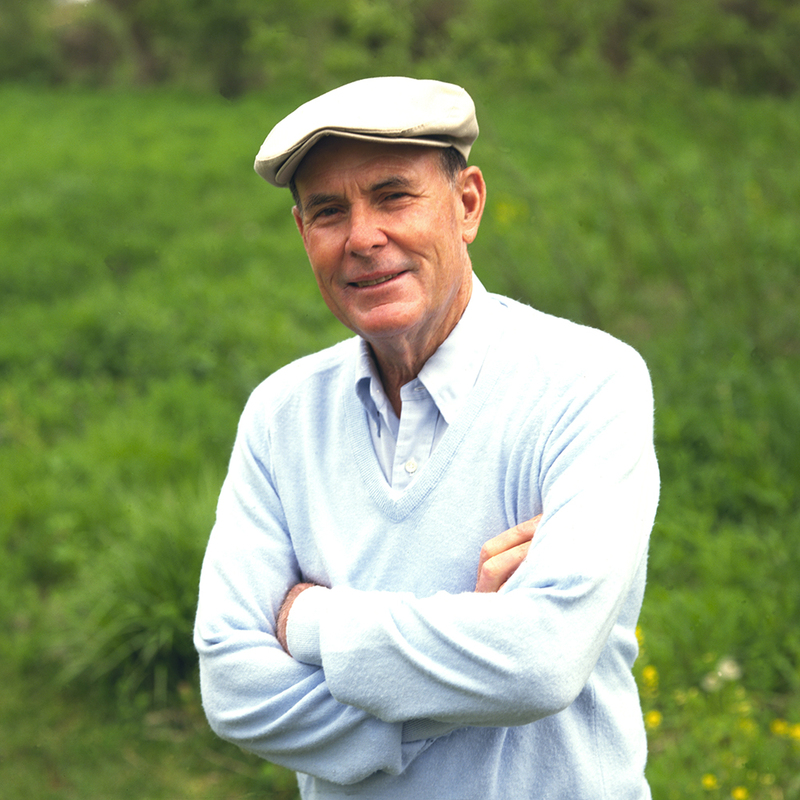 Considered in many circles to be the most influential golf course architect of the last five decades, Pete is now in his 90’s and still designing golf courses. Pete comes by his career naturally. His father designed and built a nine-hole golf course on his mother’s farm in Urbana, Ohio, and Pete grew up playing and working on this course. He won the Ohio State High School Championship and was medalist in the Ohio State Amateur. World War II interrupted his high school education and Pete served in the 82nd Airborne Infantry of the United States Army. Upon his discharge, he attended Rollins College where he met Alice O’Neal. Alice and Pete were married in 1950 and Pete moved to Indianapolis where he became a star salesman for The Connecticut Mutual Life Insurance Company. During this time, he was also pursuing his golf career and won the 1958 Indiana State Amateur Championship after a runner-up finish in 1954 and 1955. He also won the Indianapolis District Championship, participated in The Western Amateur and five USGA Amateurs, and played in the 1957 United States Open where he finished ahead of both Arnold Palmer and Jack Nicklaus. Pete served as Greens Chairman at the Country Club of Indianapolis for about eight years. His interest in course maintenance continued and Pete began attending turf sessions at Purdue University under Dr. William Daniel. Although he was a champion golfer, Pete’s interest was really in the design and maintenance of a golf course. He decided to leave the life insurance business to devote his time to designing and building golf courses. A 1963 trip to Scotland profoundly impacted Pete’s subsequent designs. Touring the great Scottish courses, he was influenced by the features he saw small greens, pot bunkers, undulating fairways and wooden bulkheads. He began incorporating these concepts into his designs. This, in turn, influenced future golf architects and Pete has been hailed as the father of modern golf course architecture. Pete is also acclaimed for his innovative, environmentally friendly designs. He lent his expertise in the renovation of the Kampen Course of Purdue University’s Brick Boilermaker Golf Complex. The Kampen Course incorporates Pete’s drainage and irrigation designs and wetlands areas that help recycle and purify water that drains onto the course. The course additionally serves as a living laboratory, combining turfgrass research and environmental studies. Pete was inducted into the World Golf Hall of Fame in 2008. He is only the 5th architect to be inducted to the Hall in the Lifetime Achievement category. In 2005, Pete was also awarded the Lifetime Achievement Award from the PGA Tour. As an architect, Alice joined with her husband, Pete, in the design and construction of their first course, El Dorado, now called Dye's Walk Country Club, in Indianapolis. She continued as a co-designer for such famous courses as PGA West in La Quinta, CA; The Ocean Course at Kiawah Island Resort in Kiawah, SC; Harbour Town Golf Links and Long Cove Club on Hilton Head Island, SC; Crooked Stick Golf Club in Carmel, IN, and Teeth of the Dog in La Romana, Dominican Republic.